© 2010-2018 Ryele Studio. All rights reserved. Flat-lays, what’s-in-your-bag posts and overhead desk shots are just some of the new photography styles that have emerged with the dawn of Instagram. What’s the big deal? 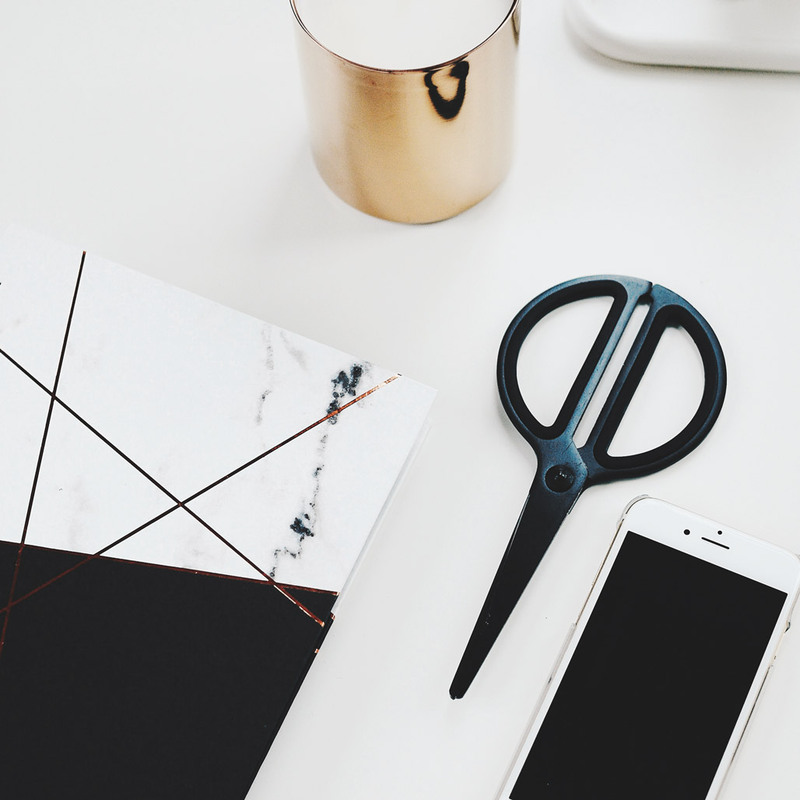 Just like your brand, your physical environment – colour choices, home or office styling, even your choice of personal belongings – is an extension of you and can really make a huge impact on how and what your mind focuses on. We get asked a lot about our home (more about that on Insta at @helloryele) and why there’s so.much.white. Even though white interiors have been on-trend for a while, there’s intention (and even a bit of science!) behind our colour of choice. First, a disclaimer: It’s not for everyone. There’s so much beauty in colour, and as a designer, I work with gorgeous shades every day. So for the past decade, we’ve had white walls and light furniture. We even painted our house exterior white (our painter, Nick, had never painted so much white in his life). Maybe it’s the rainy Pacific Northwest, or the cool-toned sunlight we get for most of the year. There’s just something about the colour white that reflects and brightens this corner of the world. The Scandinavians got it right – and they’re the happiest people in the world, despite long, cold winters and nights. Regardless of the current trends, I can honestly say that light is right, at least for us. No tanning or pill-popping required! There’s a reason why most art galleries use a white backdrop for gorgeous pieces of art. I believe it’s so the art can truly shine, without competition. I find more clarity in my thought and design process and when I situate myself in a neutral (read: mostly white) environment. Research has shown that resting your eyes on something natural and green can go a long way to restoring our eyesight, especially after hours of staring at a screen. Adding natural tones – wood and greenery – to your space not only provides an beneficial boost of oxygen during the day, it brings warmth, texture and a natural, lived-in feel. 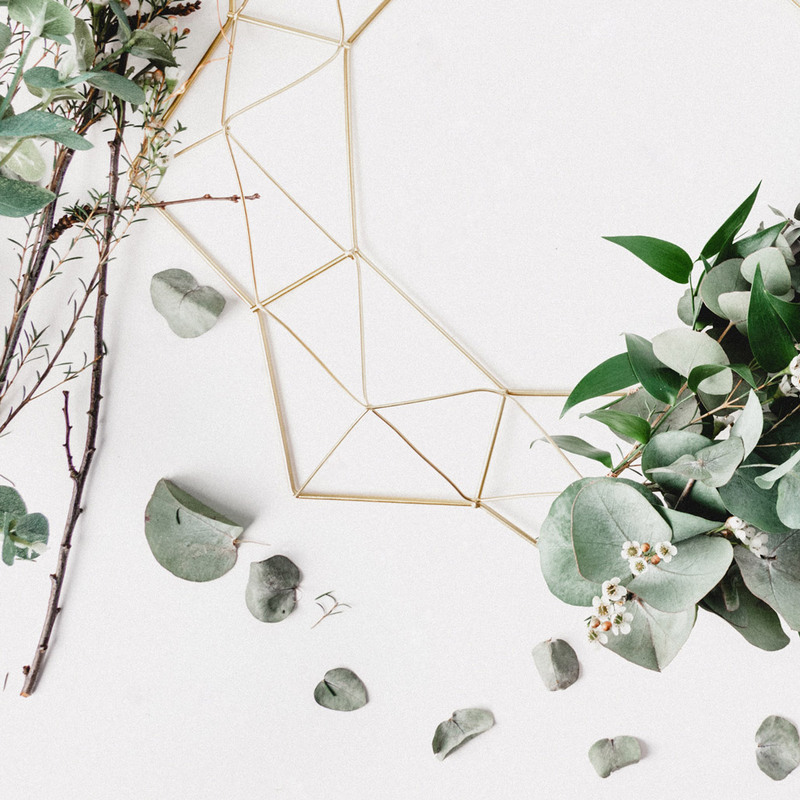 Try a modern hanging planter or potted succulent from your local florist, or even a few sprigs of low-maintenance silver dollar eucalyptus or lavender in a small vase (you can dry these and leave them in the vase for year-round enjoyment). If you’re wondering what I’m currently using for greenery, I have a little snake plant right beside my computer screen, and our finicky little fiddle leaf fig on my right, and a ton of natural light and trees through the window on my left. If you give these tips a try, tell me about it in the comments below, or shoot me a quick email – I’d love to hear about your experiments in styling a creative space! Stay tuned for part 4 to find out how to get a headstart on your day – everyday, and get first dibs on a free download! This is the third article in the January Jumpstart series. Head over to Week 1 and Week 2. © 2010 – 2019 Ryele Studio. All rights reserved.